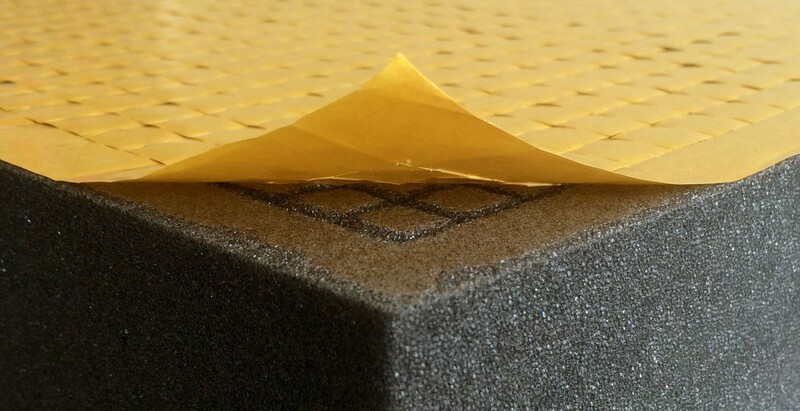 Pick and Pluck foam is perfect for creating snug shapes in individual sizes to fill cases, boxes or each other packaging. 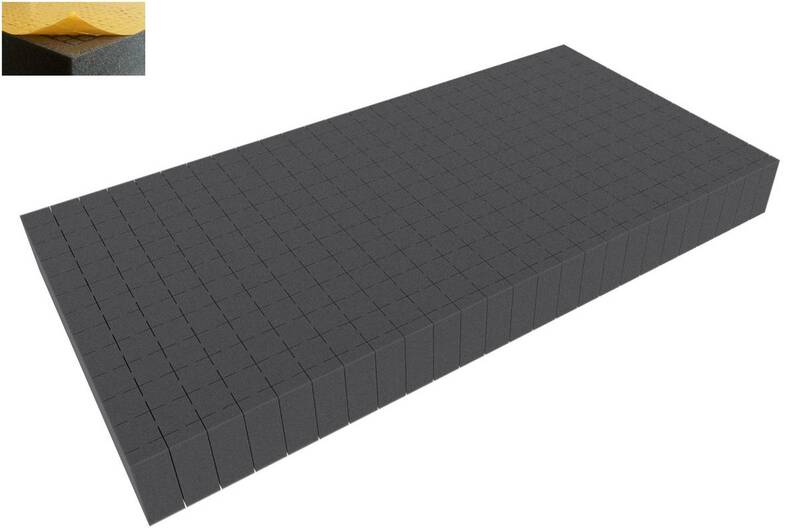 With a 20 mm grid this foam can be easily separated by hand to fit around any object. These foam tray is one-sided self-adhesive. Just remove cover film and glue together foam (especially a base) to setup your tray. That's all! !